'I Am Not A Paper Cup' despite looking very much like a paper cup, isn't one. 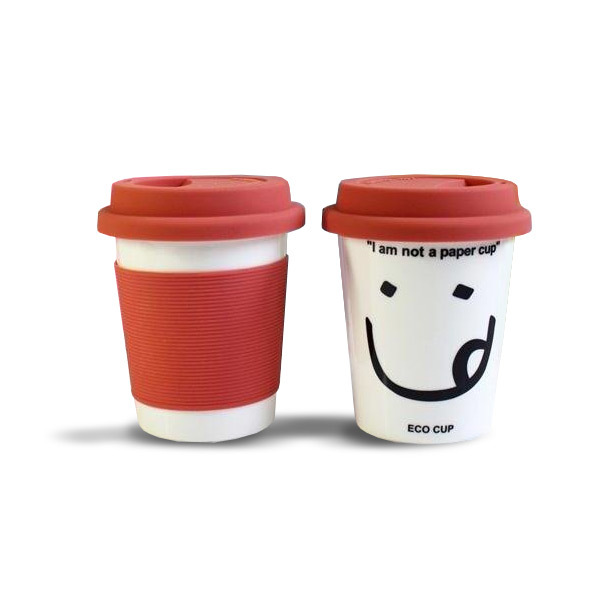 'I Am Not A Paper Cup' is a reusable, double walled, thermal porcelain mug with a re-sealable silicon lid that'll keep your coffee safe, and reduce your need for paper cups (which only end up being thrown away). Take a small step to reducing your carbon footprint, and alleviate any eco guilt. Makes a great gift too! The mug is made of double-walled porcelain that is 100% lead _free, non-leaching and neutral to taste and smell. Porcelain will not absorb colors or odors and is a safe alternative to plastic coffee mugs, which may leach harmful chemicals, especially when filled with hot beverages. The lid is made of durable and long-lasting silicone, a superior, heat-resistant, non-toxic material that can withstand repeated washing and use. It doesn't absorb odors or colors and can withstand temperatures of up to 230° C/446° F, which means it's dishwasher and microwave safe. An eco-friendly alternative to paper and plastic cups. Eliminate hundreds of disposable beverage cups over the course of one year _ and thousands over the course of a lifetime. 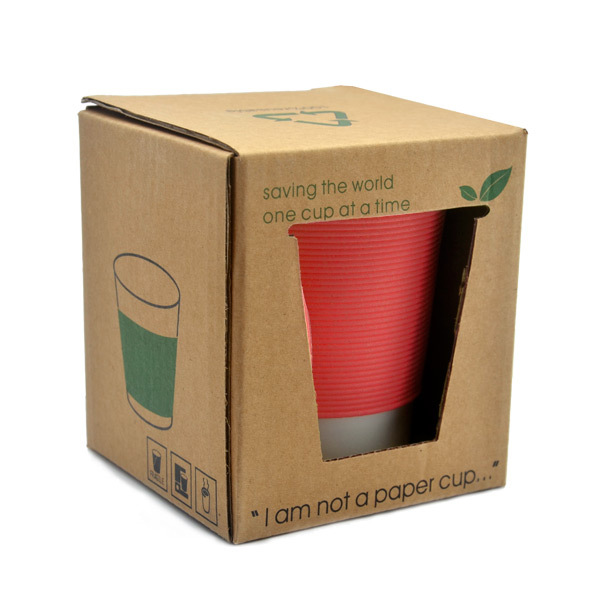 _I Am Not A Paper Cup° and Eco Cup are built to last and help replace wasteful, use-and-toss plastic and paper beverage containers, while saving you money in the process. Bring your own mug to your favorite coffee shop, or use it at home. Made of long-lasting porcelain and silicone. Takeaway style silicone lid with drinking hole. Great for hot or cold drinks. Cup is dishwasher & microwave safe. Soap the lip and wrap in boiling water with 3 lemon wedges until clean. Wash the lip and wrap as normal using toothpaste instead of dish soap. Comment: Item received in good condition.